Crews rescued 10 people from the Salinas River in Paso Robles on Thursday, after earlier warning approximately 25 people who live there to leave. Most of the homeless living along the river ignored the warnings. 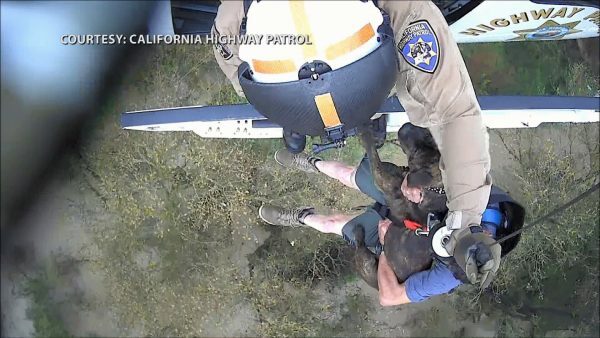 A CHP helicopter rescued six people while Paso Robles and Atascadero firefighters rescued four people. One dog died in the flooding. At least two of the rescued individuals were transported to the hospital. In South County, there was at least one swift water rescue on Thursday. Cal Fire crews rescued two people who were stranded at the edge of San Luis Obispo Creek in the Avila Beach area. No one was injured during the incident. That is why they are homeless.